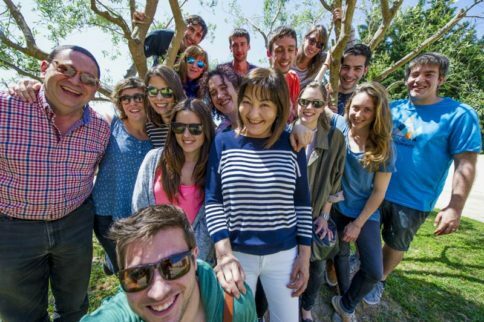 During this fun and original activity you’ll travel to a family-run vineyard in an idyllic corner of the Penedes wine region, near Barcelona, where you’ll not only taste several different types of Cava – the region’s famous sparkling white wine – but you’ll also take part in the bottling process and create your own personal Cava. Once you’ve selected your favourite blend of grapes you yourself will perform the ancient art of ‘disgorgement’, the final step in the wine’s production process before it’s ready for consumption. 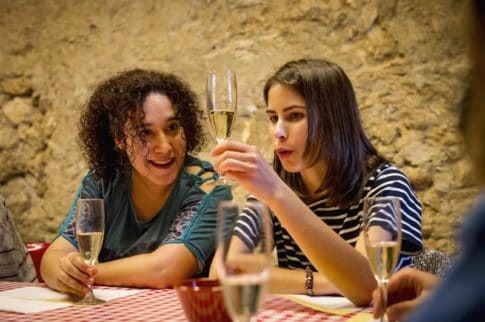 This great day out is the most popular activity on Barcelona Life and not only includes the Cava tasting (three different types) and bottling, but also a tour of the vineyards, a look at the cellars and a fascinating insight into the production process. 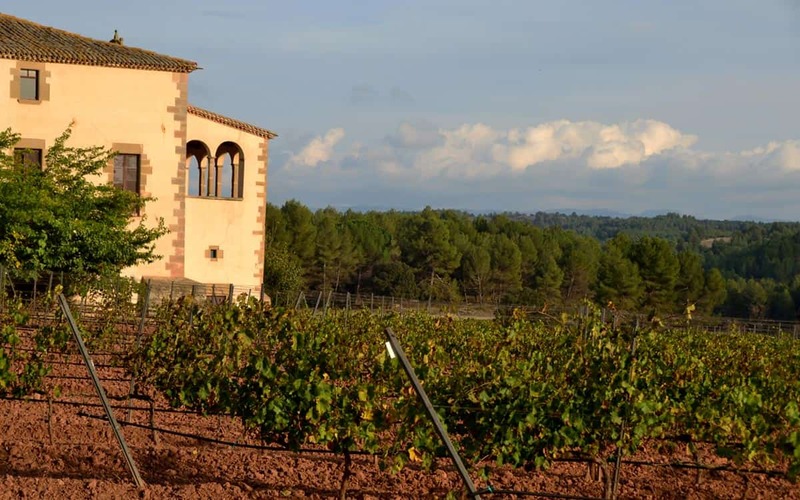 The price is very reasonable at 42 euros per person, and includes free transport from the local train station of Lavern-Subirats (which is an easy 50 minute journey from central Barcelona) to the winery. Plus of course you get to keep the personalised Cava which you bottled yourself (you can even design your own label!). 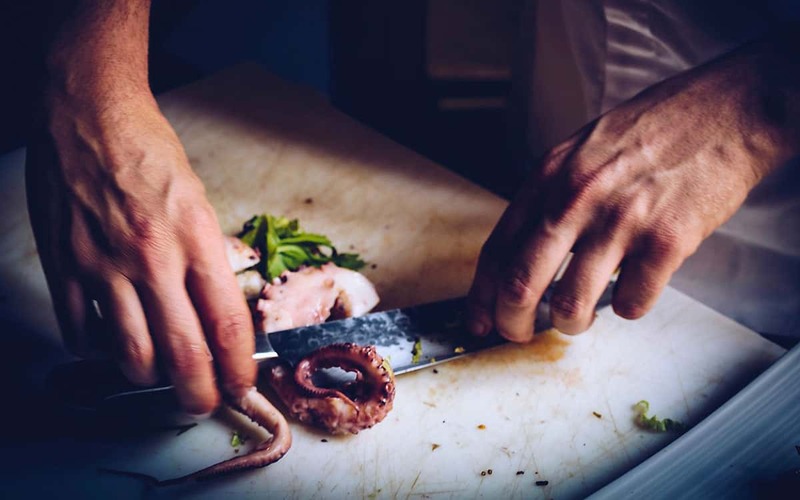 For a little extra you can also enjoy a delicious rustic lunch on the premises of the vineyard’s 1,000-year-old farm house, courtesy of the winery’s resident foodie and chef Ramon. A warm and gregarious host, he will rustle up a delicious Catalan meal that includes the seasonal salad, the famous pan amb tomaquet (tomato bread), cold cuts, cheeses, and sausages cooked with Cava, garlic and rosemary (grown in their garden). Not forgetting desserts and plenty more bubbly! If you can afford the additional €28 it is well worth it. 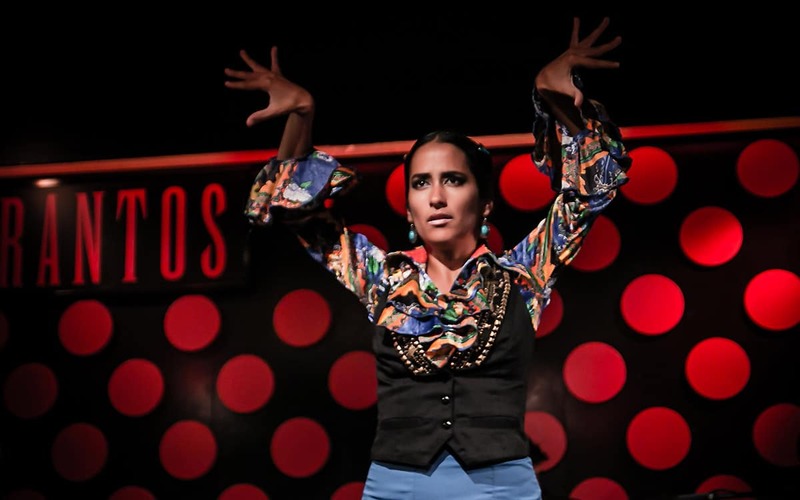 To book or request info simply send us an email on info@barcelona-life.com. Due to the extremely popular nature of this activity we recommend booking ahead of time if possible, especially for weekends. And do read the review of previous guests, who have loved the first rate hospitality provided on this tour! 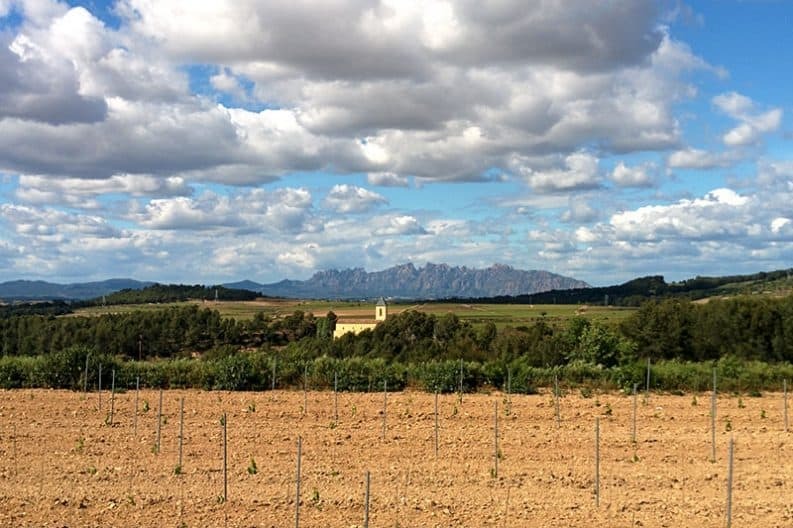 The breathtaking landscape of the Penedes…. I've never got teary about writing a review before...I started working with the staff of this activity about 4 months ago when I began planning my engagement proposal. The team here made this day beyond memorable and special. From the little things like explaining architecture and history to going through the bottling process and letting us bottle our own, to helping me design a custom bottle label with our engagement date, everything was perfect. Eric is a god of cava making and Ramon should have his own show on the Travel Channel. 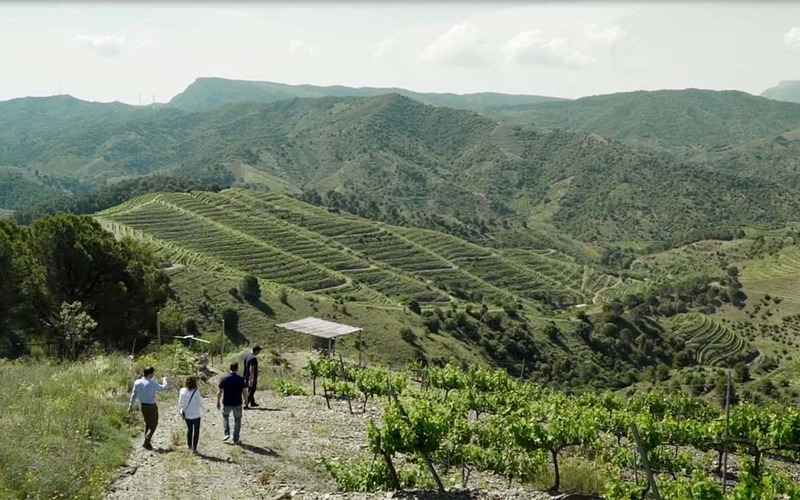 We spend the afternoon learning about the region, the intricacies of cava making and why this region is the only one in the world that can do it right. We had a Catalan meal (best duck I've ever had) and Ramon filmed the entire proposal for us so that we could have it. All in all, it was the best Friday ever. We will be returning here in the next two years when we come back to Spain.If you come to Barcelona and do not come here, you've failed at vacationing. Skip the tourist stuff and do this trip. It's worth every cent. Superb afternoon spent with Ramon and Eric at this Barcelona Life activity. A very interesting tour of the house, a very enjoyable wine tasting, a delicious home cooked traditional Catalan lunch and a memorable time making our own cava bottles (putting cork in, cleaning, putting cage on, putting foil, putting labels on the bottle) and a very fun rest of the weekend in BCN enjoying our cava.This tour is so different from the wine tours offered by the larger cava houses. It is personable, friendly, well organised, relaxed and truly an afternoon I will never forget. This isn't a maybe... It's a must! Eric and Ramon couldn't have treated us nicer. My family and I felt as if we had been welcomed not on a tour, but into someone's home. 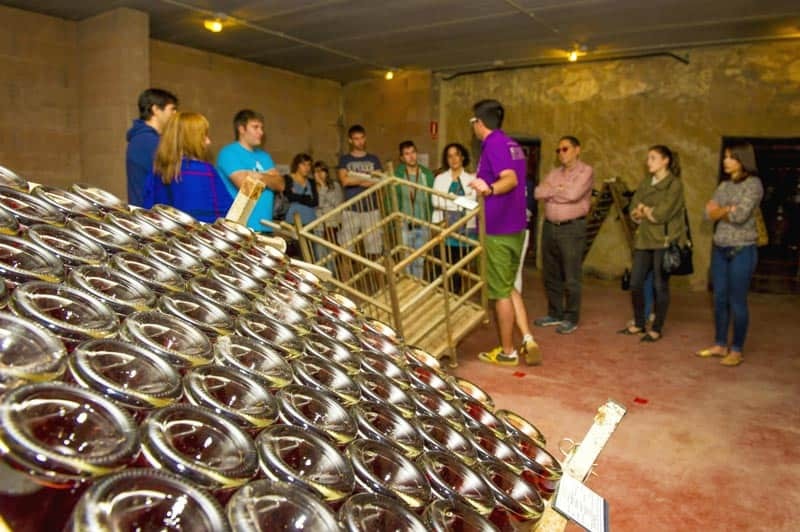 The tour itself was wonderful and Ramon has amazing knowledge to share about the area, the history of cava making and of their brand and why they do what they do. It's not just a business that you learn about .. You learn about the warm culture of the area and the vineyard. The Cava itself is wonderful. Fresh and light . The lunch that Ramon prepared was a table of riches. If you are a foodie, this is where you want to have a meal! We were humbled by his hospitality. All this topped off with bottling our own bottles of Cava. Thank you both for making this a day our entire family will never forget!! I have no idea how this tour makes money. There is just so much value here.Ramon, an amazingly charismatic and personable host, gave us a thorough and entertaining history on cava and the entire Catalan and wine region. Our group of 4 (2 couples) enjoyed a full day of generous cava, educational and engaging banter finished up with bottling our own cava to take home. This was a superb day and if you have the slightest interest in wine or champagne I couldn't recommend it enough. By far the best wine tasting tour I've ever been on, in beautiful surroundings with clearly passionate people. "Highlight of our trip to Barcelona" - by Adam T.
We did the Create Your Own Cava experience and it was definitely the highlight of our trip to Barcelona - we had a fantastic day with Ramon and another couple from Australia (also called Adam and Jess!) and came away with 2 bottles of some of the best cava we've ever had. From first emailing Eric about a reservation, the whole team were so friendly and assisted with trains arriving to the station near the winery. Ramon greeted us at the station and drove us first to overlook the whole Penedes region and explain about some of the history. Then at the winery itself, we started with a tour of the house and more history behind the family before moving on to a (very generous) tasting session in the courtyard. 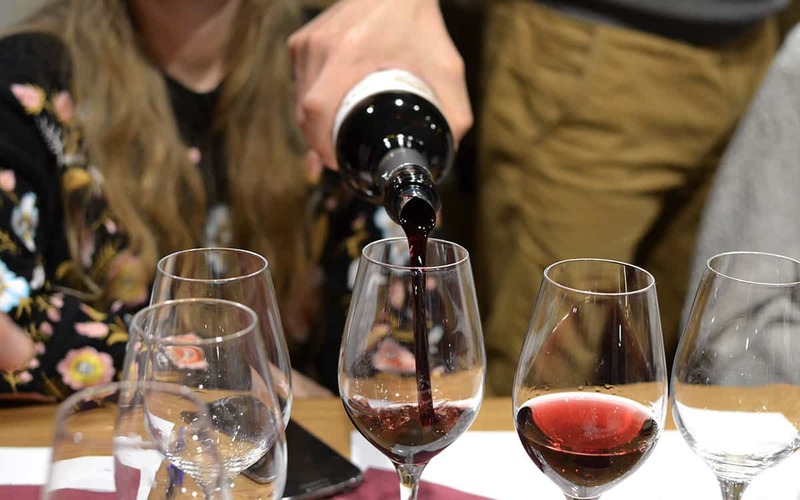 We tried 3 different cavas (and 2 olive oils as well which were made by their friends down the road) which were all beautiful, and we had more than a bottle of each one between the four of us, and then some... The disgorging process was really fun too and the whole day was very relaxed but incredibly informative - Ramon clearly loves what he does and it was so infectious. We finished the actual day later than we had expected but we were in no rush so he drove all 4 of us down to a local restaurant (I wouldn't go if you can't speak any Spanish though) and came back to pick us up after we'd finished, which was a really great touch. Would massively recommend and will strongly look at ordering some of the cava online - thanks, Ramon! “Please let's keep this a secret - it's too awesome to share :P”I visited with 3 girlfriends while on a bachelorette party in Barcelona. We found it online and thought "hey, not too expensive, even if not too awesome, not too big loss, let's go for it".... and not only did they live up, they exceeded and impressed me! We spent the day with Ramon, who was so genuinely friendly that we almost forgot we were "paying him to do his job" and thought we were just hanging out with a friend. SERIOUSLY interesting information, WELL organised and best wine (ok cava, but i include wine in my comparison) tour I have ever had. The only thing that would potentially hold them back from being fully booked - they are so well priced so people probably don't think it's so amazing! GRACIS gracis Ramon & all the team! I'll be back as soon as in the neighbourhood! What a wonderful addition to our trip to Barcelona. We were a group of 10 - ranging in age from 12 - 77 with many different interests and needs! Our day out was fun for all!Eric was incredibly easy to work with during the planning phase. We needed to change our day and time numerous times and he was flexible, accommodating and responsive.Eric and Ramon picked us up at the metro stop and greeted us warmly. We spent most of the day with Ramon who was an excellent guide. He is clearly skilled, knowledgeable and passionate about his country and work. We learned so much. The day was a perfect combination of information about the history and current status of the country, house/farm and Cava as well as hands on experiences bottling Cava - perfect for any age group.We had lunch in the 1000 year old farm house. Wow - it was amazing! The variety, freshness and quantity exceeded all expectations. We ended up spending most of the day at the winery and it was clearly a highlight of vacation overall!We highly recommend this activity! A local artisan vineyard. 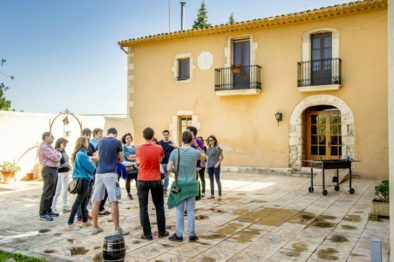 We had an incredible visit there, learning the history of the region, visiting the cellar, being taken through the entire process of making Cava, and then on to the tasting. My wife and I had tasted at least 10 different Cava's at home before starting our vacation (yes, we do like to imbibe! ), but were extremely impressed with the products. All three couples made purchases because we liked it so much (it didn't make it back to the US - but went well with the cheeses bought at Montserrat!). Unfortunately, they do not distribute in the US due to it's limited release and being more boutique. Too bad, because we would drink quite a bit if available. Thank you, Eric, for a great tour and a great place to end the day! A group of seven Norwegian guys had an excellent guided tour with Ramon. We enjoyed a perfectly sunny day at the winery, was served delicious cavas and a fantastic lunch! Thanks a lot for Your hospitality; Eric, Ramon and Miquel Angel! We did the tour with Eric on the recommendation of a friend on the day of our first wedding anniversary. 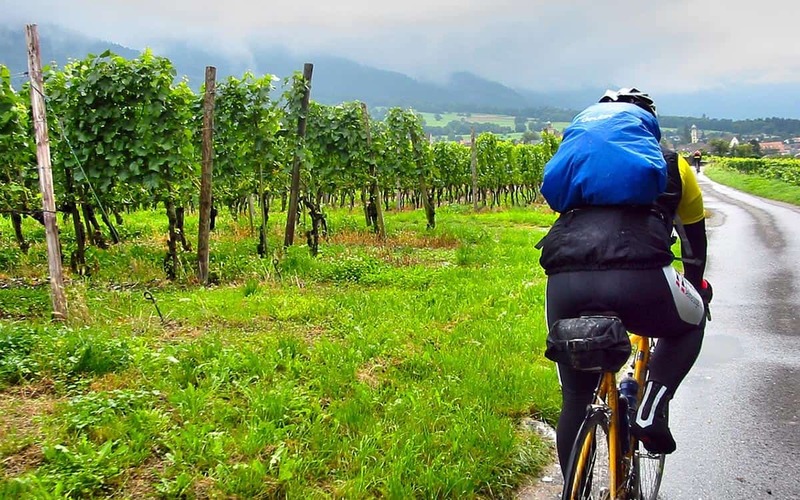 We've been on wine tours all around the world and this stands out as one of the best. You get to learn a lot about the process which means you'll make better purchases in the future. We got to taste a lovely range of cava in the great surroundings of the house; and then my favourite part was bottling your own Cava to take away! Eric's service was exceptional and he really made this a great trip. We had some time at the end before our train back to Barcelona so along with the others on our tour we bought a nice chilled bottle of Cava to enjoy in the sun in the grounds of the house. This tour is a must for anyone visiting the area, thanks Eric! I went with a group of friends of mixed nationalities to celebrate my birthday, and everyone had a really good time. Even those who weren't big fans of cava before were really happy they came and left with a new appreciation. It was the perfect mix of learning and interactive fun, and the tasting was very generous! Eric was super welcoming, picked us up from the train station and everything. He speaks really good English and when another tour might have gotten too informative and boring, he really kept everyone's interest with jokes and personal involvement. And of course at the end we had our very own bottles to take home :)I've been on plenty of wine tours before but this Create Your Own Cava experience managed to make it feel new to me, so if you want something different from just the traditional wine tour I would definitely recommend an afternoon here! My wife and I loved this workshop. It was great learning all about Cava, and especially we loved going hands-on in the shop removing the yeast from the bottles, capping them, and putting on the labels! Drinking our own bottles back in our Barcelona apartment was really special too. For me though the best part of all was meeting Eric and talking about life and people in Catalunya - very friendly guy with lots of insight on local people and culture! Eric made it easy to get to his bodega. My wife and I travelled by train from Barcelona and his father, Miquel Angel, picked us up near the train station.Eric gave us a tour of the bodega and we tasted 2 different aged cavas. For the workshop, we disgorged, corked and labeled our bottles that we chose.After our workshop was finished, Miquel Angel drove us back to the train station.Eric offers a very unique experience. A hands on workshop where you become part of the bottling process. 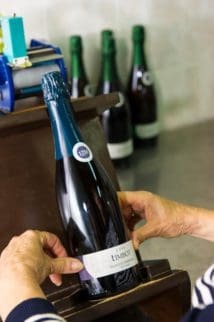 This process is becoming automated with the larger cava producers so to step through the manual process is very special.I have never seen or heard of a wine producer that offer this experience and in many wineries, it is rare to even meet the wine maker. Eric answers any questions you have and having the opportunity to spend the time talking about and drinking cava is wonderful.One day we will return to the area to visit more cava bodegas and we will visit Eric again. The only thing I would do differently is bring a much larger group of friends to enjoy this wonderful experience.Thank you Eric and Miquel Angel for making our visit a great and memorable experience. The tour was excellent. I organised the trip as part of a hen party. I had been a little concerned it might be more educational than fun but that was not the case at all - gaining an understanding of the cava making process was exceedingly interesting and there was much fun and laughter throughout the tour, particularly during the bottling process at the end.We stayed for lunch that was great but don't forget your sun cream, the outside eating area is not yet mature so was not much shade! The tour exceeded all expectations we had. Eric communicated via emails with a professional and personal touch. The day was amazing and catered to every need we had.. It is an easy commute from Barcelona via train. Eric picked us up personally. The highlight was desgorging of the wine. Eric is extremelly knowledgable and very personalable. His passion for wine making is beautiful and the day was like travleing back into the history of wine making. 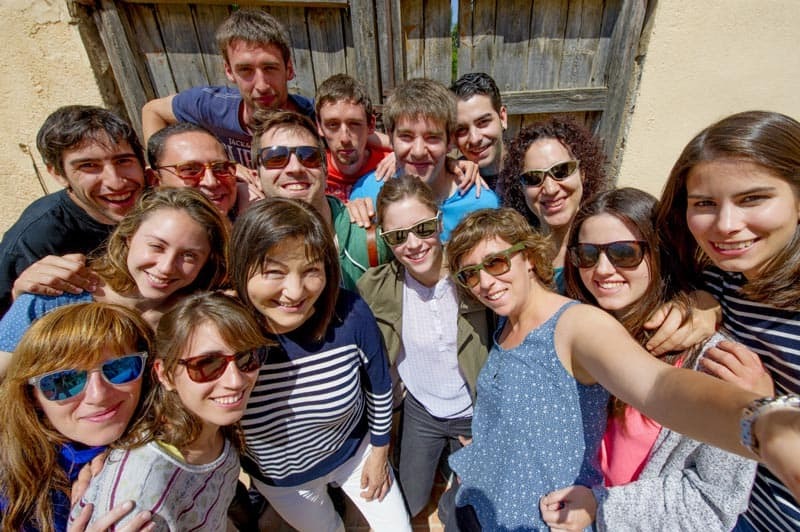 It is the highlight of our trip and we recommend it to all visiting Spain. We booked this a couple of days before going to Barcelona. The owner, Eric, met us at Lavern-Subirats station (about 45 mins from Barcelona Sants). We had a short tour of the cellar and learned some of the intricacies of Cava production.But for me, the highlight of the day was the Cava tasting. Having never done professional wine tasting before, it was great to learn from a real expert. It was amazing how the flavours and aromas change with ageing and a little extra mastication of the grape-skins. In my opinion the Cava tasting is worth the entry-fee alone. 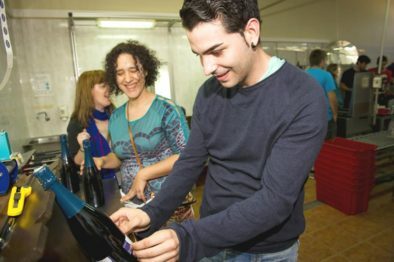 Of course, bottling our own Cava (having chosen our favourites from the tasting session) was lots of fun too - we look forward to drinking it soon. It's just a shame we can't buy Eric's Cava here in London!Overall, this was a really good experience and well worth the €. I'd recommend it to anyone who likes wine with a few hours to spare in Barcelona.